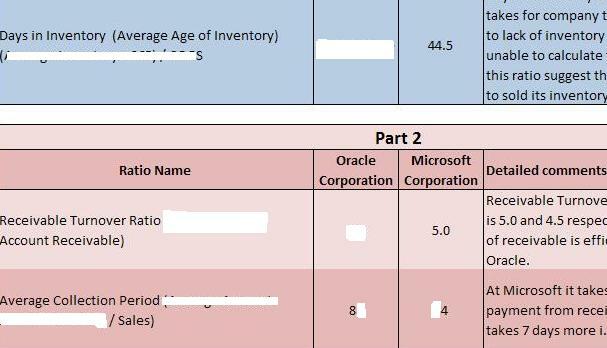 Find financial ratios for Microsoft Company for the last 1-3 (2016 – 2014) and years and Apple, Inc. its major competitor for the last year in the Internet. Present the ratios as the table(s) in your project. • Identify program outcomes for the University of Phoenix MBA. • Use tools available to University of Phoenix graduate students. 1. Read the Student Road Map available on the rEsource page. 2. Read Dean’s Welcome available on the rEsource page. 3. Read Strategy for Reading College Materials, available on the rEsource page. 4. Read Ch. 2 of Leadership in Organizations. 5. Read Materials posted in course materials. 6. Explore the OLS Training Tutorial available for your appropriate modality (Online & FlexNet or Local Campus) under the menu “Site Tools” after you login to the Resource page. including all benefits, is $43 per hour. Seventeen people are required on the assembly line. Lifting containers that weigh approximately 42 pounds is required in several of the respective tasks. The current output of finished widgets is 208 per 8-hour shift. The company incurs an average of four worker’s compensation claims per year in back injuries due to lifting. An average claim equals $109,000 and the employee is out for an average of 280 hours. The injured worker must be replaced to sustain production. By improving the physical layout, productivity may be improved and worker’s comp claims reduced. Two layouts have been proposed. Alternative One reduces wasted motion (walking) to 1% of total labor used on the assembly line. Physical lifting is reduced to no more then 12 pounds. Six people will be required on the assembly line. Productivity in finished goods per 8-hour shift will increase to 392. It is anticipated that worker’s comp claims will be reduced to .3 per year; however, a capital investment of $1.3 million is required in robotics and mobile storage carts. Useful life of the equipment is 7 years.